How Much Do Double Paned Windows Cost? What are Double Paned Windows? Why Choose a Special Gas Filler for your Double Pane Window? Are Double Pane Windows Worth the Cost? 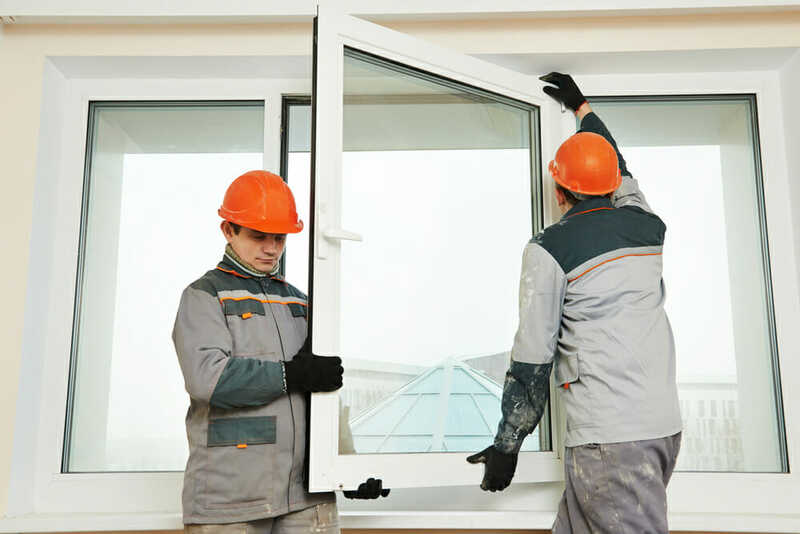 The average cost for a replacement double pane window installation is $450 to $650 per dual paned window + labor costs which can average around $38 per hour depending on your local window installers average price. 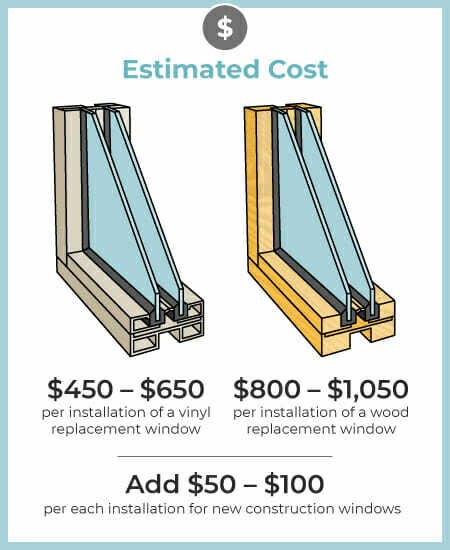 The costs of double pane window replacement will always vary depending on your local window price & service cost range. Here are a few things that you will need to consider in order to get an accurate average of window costs. * For a more accurate total price estimate in your area use our double pane window replacement cost calculator to search by zip code and more. Double pane windows are made from two panes of glass separated by a spacer that holds trapped gas, such as argon or krypton. The spacer helps hold the panes of glass firmly in place even if they’re subjected to pressure. A seal keeps the gas from leaking out from between the two layers, ensuring that the windows will perform at impressive levels. 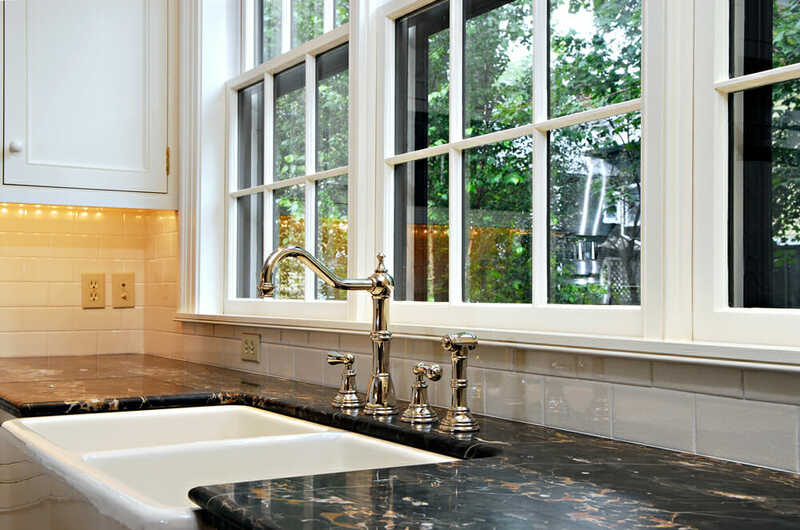 When it comes down to single pane vs. double pane windows, it’s easy to see why double-paned windows are some of the best replacement windows available. If you’ve owned a house with single pane windows in a cold climate, you know all about winter condensation issues. This is when water accumulates on your windows due to the temperature difference between the house’s interior and exterior. Single pane windows also transfer the cold into your home unlike dual paned windows. As the cold infiltrates, all the water vapor in your home that comes into contact with it turns to water and then freezes from the low temperatures coming through your windows. Double paned windows solve this issue by separating the warm interior pane and the outer colder pane. Because double pane windows keep the cold out in the winter and retain heat in the summer, they are more effective insulators than single pane replacement windows. The increased insulation comes from the extra layer of glass, of course. But even moreso, the gas or air that’s trapped between the two layers does the brunt of the insulating by slowing the transfer of heat in either direction of the window. If you live in a noisy neighborhood, you’ll enjoy the noticeable increase of quiet you get after upgrading to double-pane windows. Compared to single pane replacment windows, dual pane windows barely let any sound in at all and are a great addition for sound proof windows for your home. Some double paned windows have air between the layers. Though air helps effectively insulate the window, a dense gas like argon or krypton will provide even better insulating properties for the replacement windows. Argon gas is the best gas to use because it’s colorless, odorless, and nontoxic. Even if the glass leaks argon gas for some reason, it won’t cause any harm in your home. Most people give them very little thought, but the spacers between the two layers of dual pane glass in the window makes a difference in thermal performance. Look for “warm edge spacers” which function as insulators and prevent heat from moving from one glass pane to the other. If you have single paned windows and high energy bills, double paned windows are worth the cost if you upgrade all of your replacement windows at once. Keeping even a couple of single paned windows, however, will limit any energy bill savings you’ll see. When you change out all the single pane windows at once, you form an effective barrier that will make the most difference for your cost savings. By upgrading to double paned windows, you’ll be making a significant improvement in your home’s insulation with cost efficient and long-lasting benefits. Best of all, your home will be a more comfortable temperature year round, which makes it an invaluable investment. Double pane windows are definitely worst the cost once you start seeing the return on savings with a more energy efficient home.